Jerusalem - Israeli Prime Minister Benjamin Netanyahu says his government will fund a $12.9 million plan to strengthen two Israeli settlements in the southern West Bank. Netanyahu said Sunday that funding will go to Kiryat Arba and to Israeli settlers in the adjacent Palestinian city of Hebron. 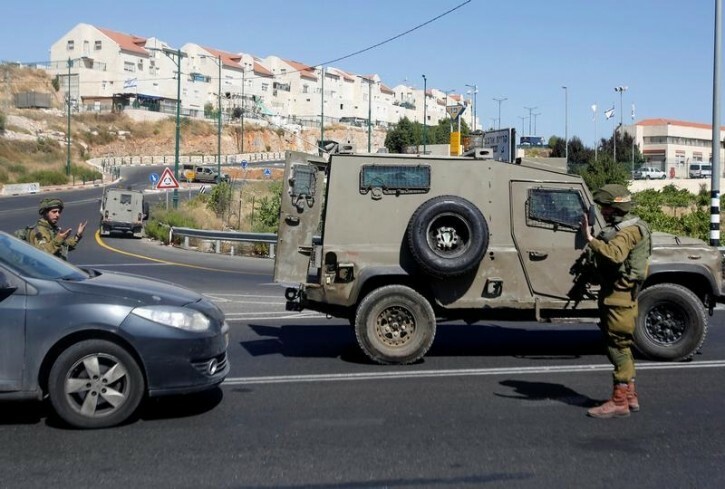 The announcement came after a Palestinian fatally stabbed a 13-year-old Israeli in her bed in Kiryat Arba in late June. Since September, Palestinians have killed 34 Israelis in dozens of attacks. At least 200 Palestinians have been killed by Israeli fire in the same period. Israel says most were assailants. Last week Netanyahu authorized hundreds of new homes for Israelis in the West Bank and east Jerusalem as a response to Palestinian violence. Palestinians say Israeli settlement construction is an obstacle to peace. Get Ready for the condemnations from the anti Semitic world to make Bibi "pause" on this move.